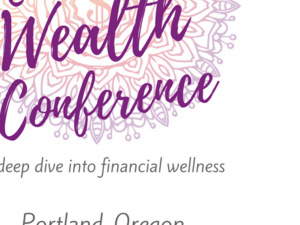 The Mindful Wealth Conference is about choosing financial wellness, healing old stories and becoming grounded in your dreams. It’s going to be a deep dive into practices and experiences that help you embody your relationship with money so that you can follow your calling. You’ll learn from some of the most innovative, creative and courageous experts in finance about meditation, yoga, healing financial trauma, claiming your dreams, practical money skills and falling in love with what you are capable of.